Product prices and availability are accurate as of 2019-04-07 01:56:42 EDT and are subject to change. Any price and availability information displayed on http://www.amazon.com/ at the time of purchase will apply to the purchase of this product. Auto time delay shut off. Comes with 1 far-end passive test jack. Far end recognizer with prompt voice. Single board computer software watchdog design and reliable operation. Self-checking function and automatically compensates any change in battery capacity or ambient temperature. Simple and easy to use, big LCD screen to display test results. Compact, lightweight, easy to carry and use. High quality, with one year warranted. 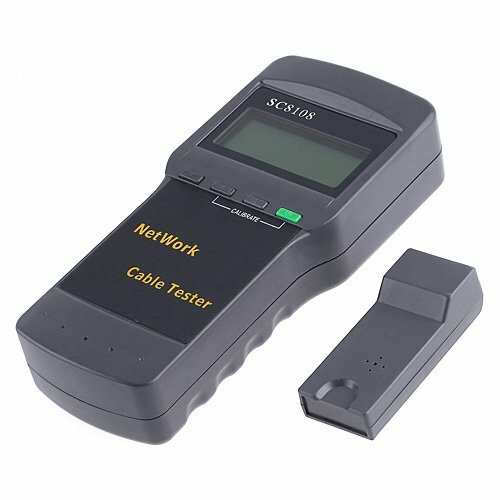 This Multi-Network Cable Tester is a powerful tool to prevent and solve cable installation problem. Do your cabling with confidence! Prevent and solve cable installation/maintenance problems instantly! Functions: The tester will automatically detect far-end matcher (ID) or local port (L) cable and displays if the far-end of cable to be checked does not insert into the far-end matcher (ID) or if the cable does not insert into the local port (L) in local test. 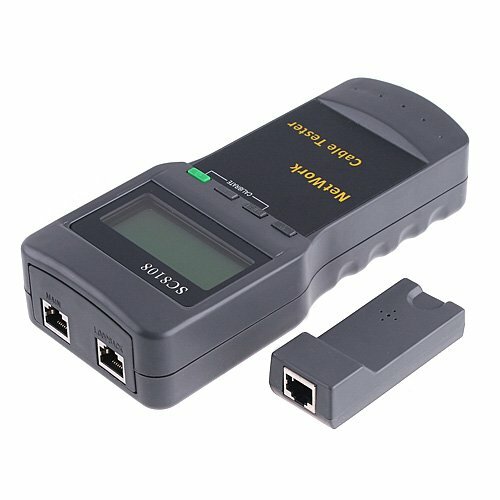 This network cable tester instantly check your LAN cable wiring for proper continuity, shorts, and pair integrity. 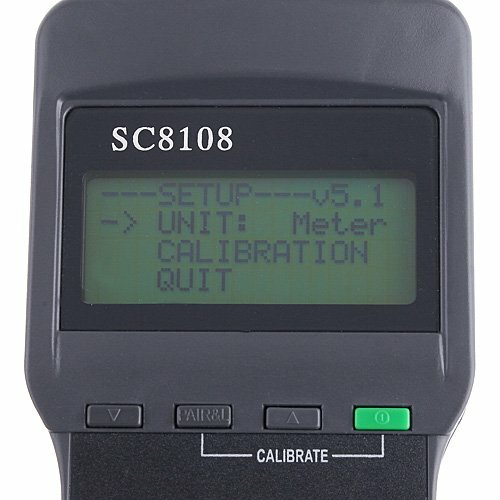 Test results are digitally shown via its LCD and it instantly displays the exact configuration of the cable. It performs line test without requiring the external adaptor. With single board computer software watchdog design and reliable operating time. 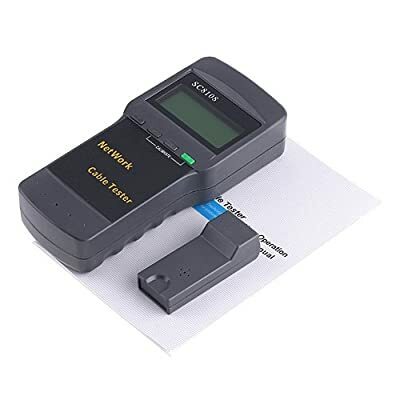 This covers wide array of applications such as cable connection sequence, length, user jumper or crossfire, cable connection continuity and determine any open circuit, short circuit, jumper or cross-talk interference. Features: Efficient, effective, reliable, easy and safe to use. A person is enough to complete cable continuity check and cable sequence. Indicates pair integrity of the cable. Measure length and pair with or without far-end recognizer. 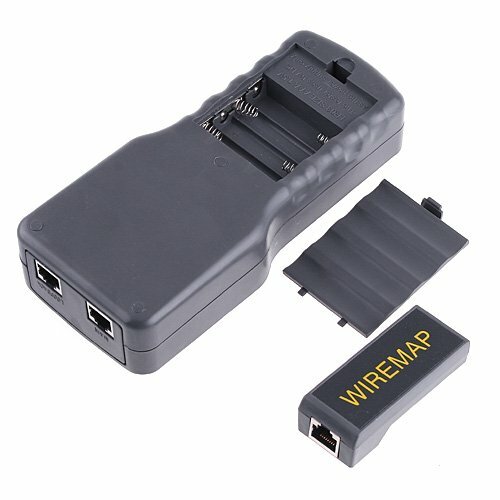 Locates the wiring or connection error. Measures cable length and determine the distance of open circuit and short circuit. Permits you to check wiring error in 5E/6E twisted cord network, coaxial cable and telephone line. Applicable for open circuit, short circuit, jumper wire, reverse connection or cross-talk interference. Dynamically calibrates cable length and make length measurement as accurate as 97%. Portable unit with long battery life (wait-case or standby mode for over 50 hours).